These fun activities for toddlers are even better if you go outside! The freedom to play is something you can both enjoy and we've got lots of ideas for free toddler games which will be fun for both of you. The trouble with toddler games is that when you're indoors everything can get a bit on top of you. The mess, the noise, the state of the carpet - but once you open your door and step outside, take a deep breath and the fun starts here! You don't need to have a garden to enjoy all sorts of fun activities for toddlers. You can do many of these fun activities for toddlers in the yard, walking up the mall or in your local park. Also, although all these toddler games are mostly about having fun, your toddler will actually be learning lots at the same time. 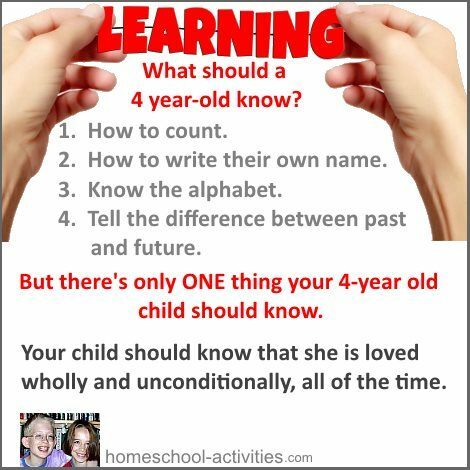 When I was homeschooling my kids William and Catherine you'll see from our page on toddler learning activities that we found enjoying ourselves was the best way to slip in all sorts of useful facts without noticing! You don't need paint for your child to enjoy painting! Water is free and can be just as good. 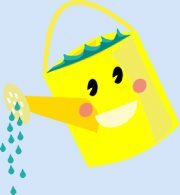 Use a watering can to dribble water out of and watch where the water goes. As you can see, William is enjoying learning about flower pots in our homeschool! Stick some paper to a fence or a wall. Give your toddler a bucket of water and a big brush, roller or sponge to make homeschool pictures. If you have a few paving slabs in the yard, toddlers like playing games making homeschooling water pictures on them and watching them vanish as they dry. If you'd like some fun activities for toddlers to do with art, including painting with your feet and blowing through straws, have a look at our page on homeschooling free art ideas for preschool. Or you could have a go at more free fun activities for toddlers as you paint fridge magnets and play food by following our homeschool salt dough recipe. I've put this quote above just to reassure you there's plenty of time. We often get caught up with ideas about what toddlers should or shouldn't know by a certain stage. The fact is we all learn at different rates - so your primary task at this stage is to keep things fun. A fun way of learning colors is to take your toddler on a homeschool color walk. You could start by showing your toddler something which is the color you'll be hunting for. As you go up to the mall or out on your walk, see if your child can play games spotting the color. 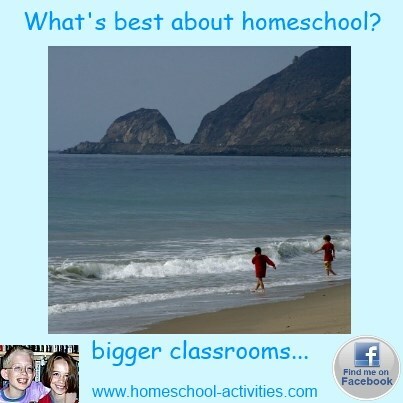 Try free homeschool toddler games like I Spy as you go: "I spy a blue door - can you? A great way to finish is by coming home and picking out favorite healthy homeschool toddler snacks in a color you've spotted! How about red apple, strawberries and cherry tomatoes? And, if you'd like some ideas about how to encourage your toddler to be a little less fussy with food, try our page on homeschooling toddlers activities, and we've got some tips for helping homeschool toddler cooks too! Toddlers love playing homeschooling games like: Can you find it? Sit on a park bench or out in your garden and ask your toddlers to bring you a leaf, a flower or a feather. If you enjoy the objects too you'll find you're both learning things. Who does the feather belong to? 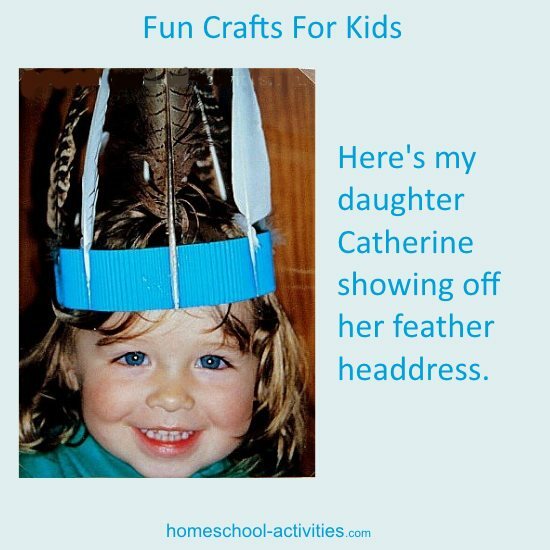 Why not collect some and turn them into a Plains Indian feather headdress like my daughter Catherine is wearing? You could collect the treasures your toddler discovers and bring them home to make a free homeschooling nature table. Ours, as you'll see, is full of all sorts of treasures, like ostrich eggs and shark's teeth. Insects are fabulous for homeschooling free toddler learning activities. They generally don't run away. You can hunt for them through the undergrowth, look at them with a child's homeschool magnifying glass, and even add in more homeschooling toddler learning activities by using child's animal books or the internet to find out about a particularly interesting one. One website you might like to look at with your toddler is ARKive. If you type 'insects' into the search I'm sure they'll enjoy seeing the fantastic pictures of common wasps, blue damselflies and earwigs. Maybe you'll also start your child on the path of supporting charities trying to save the world's endangered species. Give ants some crumbs to carry and watch where they take them. Fascinating! There are lots of free toddler games you can play just by taking an interest in what's around you. Can you find a spider's web? Searching for nuts in fall is a real treasure hunt for toddlers. 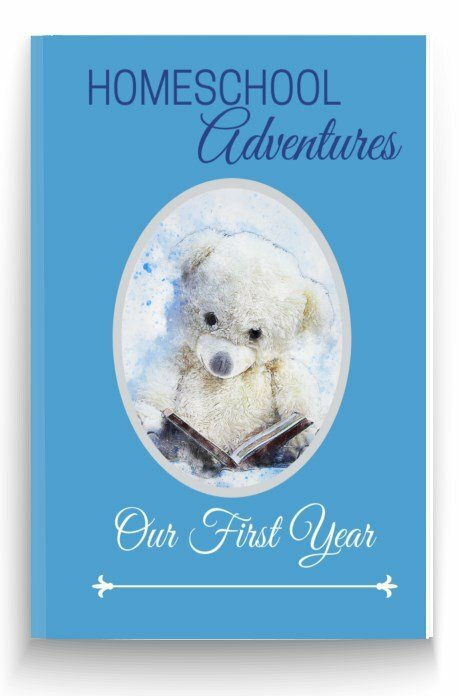 For younger children, have a look at our homeschooling page on fun ideas for playing with infants and learn the secret of our gentle baby massage. I hope your children enjoy these fun activities for toddlers as much as William and Catherine!